Meredith Mast has been performing, studying and teaching ballet for over 40 years. Mrs. Mast began her ballet training in Miami, Florida, under the instruction of Carol Ravich, a former ballerina with the Boston Ballet, and Thomas Armour of the Miami Ballet. At age 14, Mrs. Mast was accepted into the Houston Ballet Academy on full scholarship. While in the Academy, she danced several of Ben Stevenson’s works, including the lead in Tangos for Emily, which was performed for Princess Christina of Sweden at the Academy’s annual concert. At the age of 17, Mrs. Mast was accepted into the Houston Ballet where she danced roles in many of the classics including Swan Lake, Giselle, Coppelia, The Sleeping Beauty, and Cinderella. She has also performed several Balanchine works including Serenade, Four Temperaments, and Symphony in C.
Upon retiring from the Houston Ballet, Mrs. Mast earned a Bachelor of Arts degree in Psychology from the University of Texas at Austin. After graduating, Meredith pursued a career in human resources and also began teaching ballet. After moving to Madison with her husband in 1999, she designed a program specifically for children ages 3-9 called Storybook Ballet™. The children’s ballet program incorporates basic ballet instruction with costumes, props, music, drama and children’s stories. In addition, she has taught classical ballet at all levels at various dance studios in and around Madison, Wisconsin. Mrs. Mast’s passion is teaching and working with children. When teaching dance to young children, she believes in tapping into the child’s imagination and allowing the child to explore dance freely. By making movement magical, she hopes to “plant the seed” for a love of the art form which “will grow” individually. With older children and adults, she emphasizes proper classical ballet technique, yet still provides opportunities for the students to move freely such that their love of dance will continue to flourish. Mrs. Mast enjoys her home out in the country and is also the mother of four boys! Seyenna has been studying dance since the age of three. Throughout her years, Seyenna has been trained in ballet pointe, tap, jazz, and modern dance, but has since focused her dancing on her true passion, ballet. Seyenna studied under Melissa Anderson while training at the Nancy Dianne Studio of Dance, Ltd. through the age of 18. Seyenna also participated in multiple workshops and programs through Dance Masters of Wisconsin (DMW) and the Chicago National Association of Dance Masters (CNADM) throughout her participation in studio dance. Since 2013, Seyenna has been teaching dance classes to students ages three to twelve, and loves giving students a chance to also experience the true magic of dance. Her love of teaching and dance has inspired her to study Elementary Education and Special Education as well as receive a certificate in Introductory Studies in Dance/Movement Therapy through the University of Wisconsin-Madison. Seyenna is thrilled to be teaching ballet classes to students at Storybook Ballet and cannot wait to share the happiness ballet brings to her students. 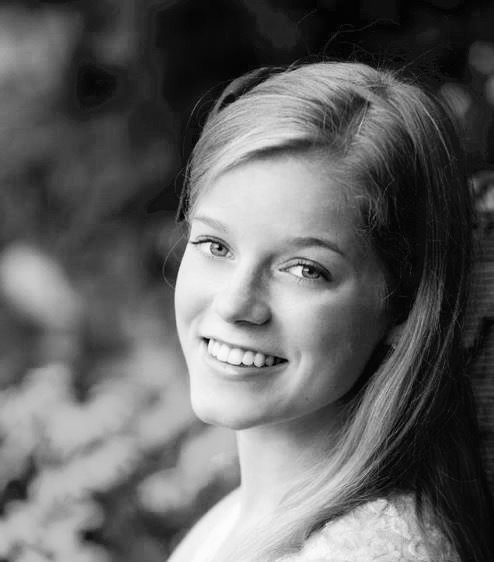 Anna started taking ballet lessons at the age of 3, and by the age of 12, she knew she had a deep love for ballet. She trained for 15 years at Classical Ballet Academy in St. Paul, Minnesota, where she was given the opportunity to perform in many professional productions with Ballet Minnesota. By the time Anna was 15, she was an apprentice with Ballet Minnesota and had performed many solo roles in Swan Lake, La Bayadere, Sleeping Beauty, The Nutcracker, and Don Quixote among others. She has received auxiliary training from Tatiana Berenova, Gelsey Kirkland, Irina Vasselini, and Oksana Konobeyeva. In addition to her classical dance training, she has studied under Elizabeth Shipiatsky to complete her certification in teaching the Vaganova Method of classical ballet. Anna is a UW graduate student pursuing a Masters in Art History. Anna finds so much joy in teaching the young dancers at Storybook Ballet and inspiring a love for dance in the future generations. At the age of three, Stephanie began her classical ballet training with Judith Svalander School of Ballet, which has been recognized as one of Chicagoland’s finest schools by Dance Chicago Magazine. She performed for 15 years with the Judith Svalander Dance Theatre at the historic Woodstock Opera House in roles such as Clara in The Nutcracker, Coppelia in Coppelia, and with the corps de ballet in Sleeping Beauty. While earning her Bachelor’s of Science degree in Environmental Science, Policy, and Management from the University of Minnesota – Twin Cities, Stephanie was exposed to different art forms and dance expressions. She continued her ballet training with the University of Minnesota, and in 2013 auditioned for and was granted an Apprentice Company position with Continental Ballet Company in Minneapolis. She traveled and performed classical ballets with Continental Ballet Company for one season before training abroad from companies such as Sydney Dance Company and Auckland Central Dance Studio in New Zealand. In 2016, Stephanie returned to the Midwest. 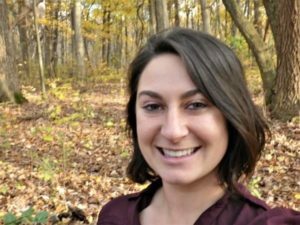 While earning her Master’s degree in Water Resources Management from the University of Wisconsin – Madison, she has been with Storybook Ballet for over one year, and being with the children is the highlight of her week. She is very excited to teach the young dancers at Storybook Ballet and share with them the art of ballet and the magic of storytelling. Jessica began her love of ballet at the age of 3. By age 13, she was accepted to the National Ballet School of Canada, where she trained for 3 years on scholarship. While in Canada, Jessica had the honor to perform with the National Ballet of Canada and the Kirov Ballet (Mariinsky Ballet). For her last two years of high school, Jessica studied at Interlochen Arts Academy, graduating with academic and artistic honors. At Interlochen, Jessica performed as the Sugar Plum Fairy in the Nutcracker and danced with the Martha Graham Modern Dance Company. 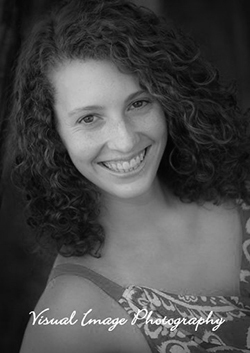 Jessica received her BFA in Dance and her BA in Political Science from the University of Michigan where she danced works by Peter Sparling, Lucinda Childs, and Merce Cunningham. 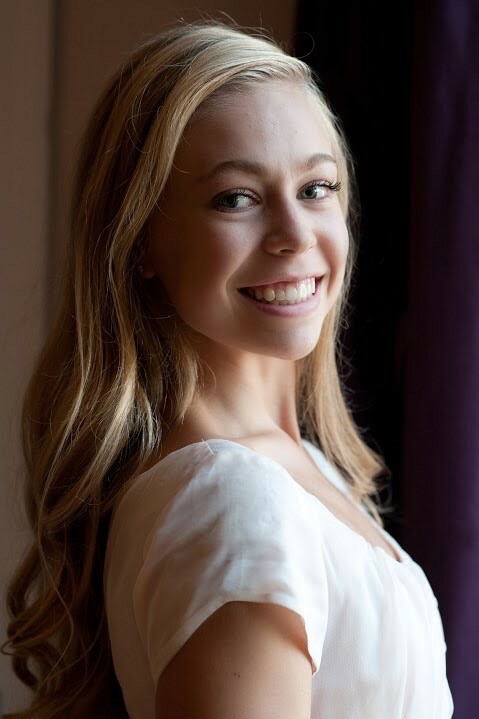 Jessica is currently dancing professionally with Kanopy Dance Company in downtown Madison and is thrilled to teach the wonderful dancers at Storybook Ballet Dance Studio. Alaina Keller began dancing when she was 2 years old with the Wauwatosa Recreation Dance School and Miss Connie’s Studio of Dance. At the age of 14, she joined the Milwaukee Ballet School to continue her training in ballet. Throughout the years she was able to explore other forms of dance during their summer intensives and work with a variety of choreographers including Rolando Yanes and Petr Zahradinicek. Alaina also attended summer intensives at Mystic Ballet of Connecticut, working with choreographer Brian Enos, and Eisenhower Dance of Michigan, working with Laurie Eisenhower, Lizzie Meckenzie and Darby Wilde. After high school, she was accepted into Milwaukee Ballet’s second Company where she danced for one season performing works by Michael Pink, Nadia Thompson, Rolando Yanes, Petr Zahradnicek, and Brent Whitney. While with Milwaukee Ballet she had the opportunity to teach with their outreach program for Milwaukee Public Schools. Aside from Milwaukee Ballet, Alaina also worked with Danceworks Performance Company of Milwaukee and the University of Wisconsin-Milwaukee’s Dancemakers summer dance performance program. Alaina is currently dancing with Kanopy Dance Company in downtown Madison and is very excited to be teaching ballet classes at Storybook Ballet. Maelanie began her ballet training at age 3 in Washington DC. After moving to Madison as a child, she began studying with Charmaine Ristow, Susan Marsden, and Tibor Zana. By age 13, she began studying with the Milwaukee Ballet School, as well as attending summer programs with the Joffrey Ballet and the Boston Ballet School. 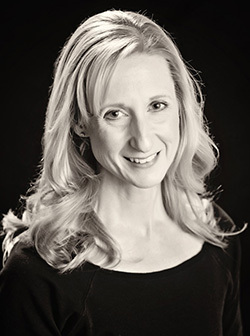 Maelanie earned her degree in Education from the University of Wisconsin—Madison, and combined her love of ballet and desire to teach by directing a private dance studio serving over 500 students each year. After nine years of studio ownership, Maelanie scaled back to spend more time with her family. In the fall of 2013, she began “The Second Story Program”- a small program for Storybook Ballet graduates who are interested in continuing their high quality ballet training through the age of 12. 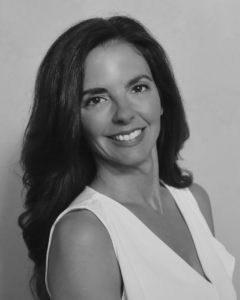 Beginning September 2016, The Second Story Program will merge with Central Midwest Ballet (an academy for ballet students age 9 and up), becoming it’s Junior Division, with Maelanie serving as Junior Division Principal. Maelanie lives in Monona with her husband and two young boys. She is very excited to be in her 8th year teaching ballet classes at Storybook Ballet, and to witness the magic of ballet through the eyes of young children. Eva began dancing at age 3 and trained in ballet, tap, and jazz. When she was 13, she directed her focus towards her true passion, ballet, and began her studies with the School of Madison Ballet. She danced there throughout high school, performing in professional performances including the Nutcracker, Cinderella, and seasonal repertoires. She also spent her summers training with Ballet Chicago. Eva is now a Junior at UW Madison studying Business and Graphic Design and she continues taking ballet classes with the UW Dance Department. She also teaches yoga through the university and practices at studios across Madison. Spending time with the little ballet dancers at Storybook is always the highlight of Eva’s busy weeks, and she is excited to be teaching and creating more magic with the children this semester.